Afghanistan minerals have been recently identified and announced to the public. 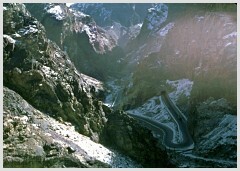 It's believed that Afghanistan is home of roughly $1 trillion untapped mineral resources. The information was first released on June-13-2010 in The New York Times article from an internal Pentagon memo. The U.S. Department of Defense put a nearly $1 trillion price tag on the Afghan untapped natural minerals. However, the Afghan Minister of Mines Wahidullah Shahrani has recently called that a “conservative estimate” and suggested the real figure could be three times more than the current estimated amount. He also added that more studies and researches are needed to identify and explore the underground natural resources of the region. 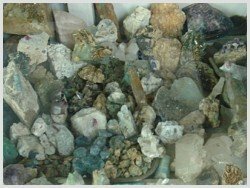 This great discovery of Afghanistan minerals include huge veins of Lithium, Iron, Copper, Cobalt Niobium, Gold minerals and critical industrial metals which are so big that could probably transform Afghanistan into one of the major mining centers in the world. Geologists have known for decades about Afghanistan's vast deposits of iron, copper, cobalt, gold, precious and semi-precious stones, and other prized minerals. 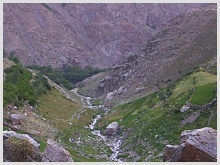 The latest research completed by the U.S. Geological Survey and with the aid of archived data compiled by the former Soviet Union (when fighting in Afghanistan) confirmed the untapped reserves of the region after months of work. Moreover, the Afghan Ministry of Mines officials said that the mineral deposit data was safeguarded by an Afghan geologist during the decades of conflict in the region. The Afghan geologist who has died, gave the information back to the government in 2002. Since then, the data has been used to help uncover the underground treasury of the country. Afghanistan minerals are big enough and could transform Afghanistan in to "Saudi Arabia of Lithium" said a U.S official after the deposit announcement. Lithium is a valuable mineral in the modern industry and it’s considered as a key raw material in the manufacture of batteries for BlackBerry cellular phones and laptop computers. According to the officials, the biggest deposits discovered so far in Afghanistan are Iron, Copper and Lithium. However, Afghanistan which is mired with over three decades of war does not have any mining industry or infrastructure to explore the natural minerals properly, so it will take decades for the country to exploit its untapped underground treasury. Aynak, 21 miles (35 kilometers) southeast of Kabul, is thought to hold one of the world's largest unexploited copper reserves. Mining the copper could produce 4,000 to 5,000 Afghan jobs in the next five years and hundreds of millions of dollars annual income to the Afghan government treasury. Moreover, Hajigak is thought to be one of the biggest iron deposits of the region and the work expected to start in five to seven years. Currently, Afghanistan is gearing up to award contracts to mine the two world's largest iron ore deposits buried in a peaceful province of Bamyan, about 100 km west of Kabul and the Aynak copper deposits in Logar province where it may hold 11.3 million tons of copper. The Afghan government has also reported large deposits of chromite, natural gas, oil and precious and semi-precious stones such as emeralds, lapis lazuli, etc. Last year, two Chinese mining companies, Jiangxi Copper Company and China Metallurgical Group won a $4 billion contract through a tender to develop Afghanistan's vast Aynak copper field in Logar Province. The bid included commitments to build a railroad through Afghanistan to link Central Asia with Pakistan's port city of Karachi. The Chinese bid also included promises to build a power plant in Logar Province that would be big enough to run the mining operations in Logar and provide electricity to residents as well. Afghan officials hope fresh bids to develop other mineral fields with commitments of building infrastructure in the country. Before the uncovering the Afghanistan minerals or the underground treasury, electricity, road and railway connections are the priorities and needs to be built. By building the infrastructure, it will not only provides access to the mineral deposits for vehicles and heavy machinery but also makes it easy to carry mined resources to the international markets. Mining operations require enormous amounts of energy. That means electricity plants need to be built close enough to the newly surveyed mineral fields that would be developed. However, China and India are still interested to build infrastructure and happy to invest in Afghanistan natural deposits. On the other hand, critics believe that the new Afghanistan minerals rush, could pit U.S and Chinese interests against each other. What does Afghans think about this natural wealth?